Singing bowls are a type of musical instrument classified as a standing bell. The sides and rim of the bell vibrate to produce sound when a wooden stick is rubbed around it’s circumference. Large bowls ring in a low tone where smaller ones tend to have a higher pitch. Singing bowls were traditionally used throughout Asia as part of Buddhist meditation practice. They usually signify the beginning/end of a meditation session or during chanting of mantras. Singing bowls are excellent tools for meditation. They produce a peaceful and calming tone and can help with concentration during meditation. By concentrating on the tone and motion of making the bowl sing, you can stop your mind from wandering and be more present during breathing exercises. Our bowls come in different sizes and with different patterns. Inscribed on the side of the bowl, the mantra Om Mani Padme Hung can be found. We suggest trying each bowl to find one that complements your body energy since each bowl will be slightly different. 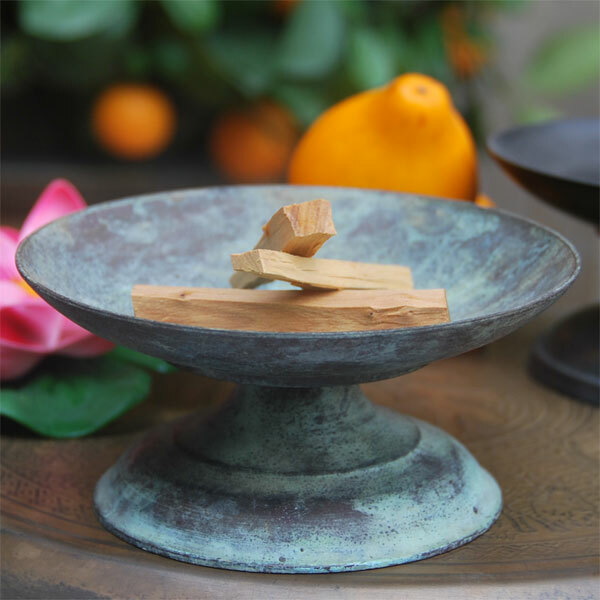 Bowls are made of brass and comes with a wooden stick to make the bowl sing. Singing Bowl Hand Hammer 4"Singing Bowl Hand Hammer 3"